Do you have memories of waking up on Christmas morning and seeing a pile of presents under the tree? Sadly, many children don't get to experience this because their families are unable to afford such gifts. 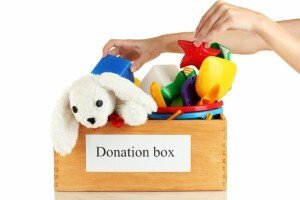 Starting a toy drive is a great way to help kids enjoy the fun and excitement of holiday presents. Get in touch with a local school or charity organization and ask them if they are collecting toys for needy children. Some groups may even hand out "wish lists," which will ensure that kids receive the toys and items they want and need. Aside from toys, many children are unable to afford the clothing they need to keep warm. You can help these youngsters by setting up a "mitten tree" in your assisted living community. Once you set up the tree, encourage your friends and loved ones to drop by and hang a scarf, hat or pair of gloves. Once you have enough donations, you can deliver these to the charity of your choice. During the cold weather seasons, many homeless shelters are inundated with individuals who are seeking shelter from the low temperatures. This means that they are in need of volunteers who can serve food and generally help out around the shelter. Donating your time during this busy season, particularly on an actual holiday, can help brighten the days of people who have, for one reason or another, found themselves out on the streets. If you are part of an elder care community, there may be some individuals in your neighborhood who do not have any family or friends nearby with whom they will spend the holidays. One way to give back this season is by inviting these individuals to your own family gathering, or setting aside some time to pay them a special visit and wish them a happy holiday.